As your status level increases, you will earn exclusive benefits with the United 2.0 United program. These benefits will include Marketing, Sales and Technical Support as core components. View the benefits or the United 2.0 partner network program and join the network program. Unitech rewards all certified United 2.0 partners by offering them level-based discounts on top of the products list price. The discount is in line with a partner level status (Mars, Venus, Neptune, Saturn or Jupiter). Unitech Project Protection program is designed to help partners maintain their unique position in their market space by offering solely Unitech products into end-user projects, with a protection on that project. Unitech will offer Project Protection which will protect the partner’s investments. It will prevent others from capitalizing on the work done by the partner offering initially on the end-user opportunity. Price Support will help Unitech partners to stay competitive and win opportunities in the most effective way. Based on project sizes, market information and other project details a Price Exception can be requested by United 2.0 partners. The Price Exception is available for all level partners. The program allows current and new channel partners to easily ‘test-drive’ special identified products. The Seed Unit program offers United partners the possibility to easily bring such products forward and keep a competitive edge in your market space. The eligible quantity per SKU of the Seed Unit is defined by a partner level status (Mars, Venus, Neptune, Saturn or Jupiter). This program gives end customers to easily ‘test-drive’ the preferred product(s) from Unitech. The Demo Unit program offers the end customers the possibility to purchase such products at very low price without heavy investment. All United partners are eligible to the Demo Unit program to resell Unitech’s product to end customers. Each United 2.0 Member will receive information from Unitech that is tailored to their specific needs/request and in relation to their function. 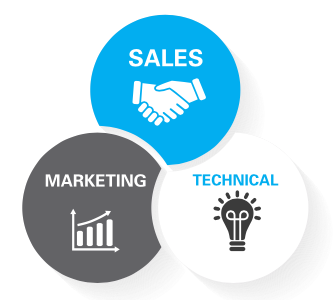 Technicians can receive support bulletins; Sales representatives receive Commercial information and so on. Newsletters are available for all partners and their registered staff members. Each member can manage their preferred newsletter subscription. A Complete set of leaflets, logo’s, product pictures and additional digital materials are online available for United Members to download. Digital marketing materials are available for all United partners. It will help in quickly answering end-user requests or support your marketing/sales activity. Promotion Programs will help United 2.0 partners to maintain competitive and win opportunities in their market space when offering competitive Unitech products. Being a United 2.0 Venus, Neptune, Saturn or Jupiter member you will enjoy early promotion information which will put you on the forefront in terms of product knowledge about the running and upcoming promotions. Unitech offers all United 2.0 partners tools that teaches the ins and outs of Unitech products along with the latest updates, latest updates, tips, etc. which will put you on the forefront in terms of product knowledge and give you a competitive edge in your market space. Online technical training part on our Partner Portal will give United 2.0 partners access to on-line trainings explaining Unitech products, tips & tricks, downloads, manuals and services. It is easy online at any time. Technical Support offers its United 2.0 partners direct access to our tech-support. A request at Technical Support will result into a Trouble Ticket offering easy and effective communication on the topic. Being a United 2.0 Venus, Neptune, Saturn or Jupiter member you will enjoy the additional support from Unitech Sales department as leads will be forwarded by them. Because we care - Easy lead generation. Presenting Unitech products during an exhibition, having an effective e-marketing campaign, providing brochures to prospects, sending out manufacturer information with your own logo onto it, etc. A professional look and feel towards the market, up-to-date information and the right marketing materials will give the end-user the right impression on your business and our brand. Unitech can also support you with stand material, such as banners or give-a-ways, during exhibitions. United 2.0 partners can ask a Unitech Sales Professional to support and join in visits to key end-users. They will represent Unitech and support you with any product or service related customer questions. This on-target Rebate Program is aiming to stimulate the business growth of partners with Unitech. Rebate programs will help United 2.0 partners to improve sales effectiveness initiatives / revenue. Unitech is pleased to award the partners who achieve an agreed goal or target per pre-agreed scheme. The Rebate Program is available Neptune, Saturn and Jupiter partners. The United 2.0 Program allows partners to receive ‘free-samples’ to identify and select the Unitech products. These samples help United 2.0 partners to test without additional costs. Free sample Units released by Unitech, are only available within Saturn and Jupiter partners. Questions about Unitech products? Contact your Unitech sales representative. Unitech works close together with her Saturn and Jupiter partners who are co-developing specific markets in defined geographical areas. Most of times this matches the new product introductions and strategic business focus of Unitech. Unitech has created the Manufacturing Development Fund (MDF) to co-fund these business development activities of Saturn and Jupiter partners. Unitech offers United 2.0 partners on site training focused on training explaining Unitech products and services. It will also keep your knowledge up-to-date. On Site training is available for Saturn and Jupiter partners. United 2.0 offers Saturn and Jupiter partners to be qualified to provide service for specific customers or specific Unitech products by the Unitech Licensed Service Partner Program. Unitech’s COOP funding program is designed to fund its Jupiter partners at their marketing programs to promote Unitech brands and Unitech products. Through the program, we can help to grow the sales of Unitech products in your channel successfully. Eventually, you can be more profitable with Unitech.